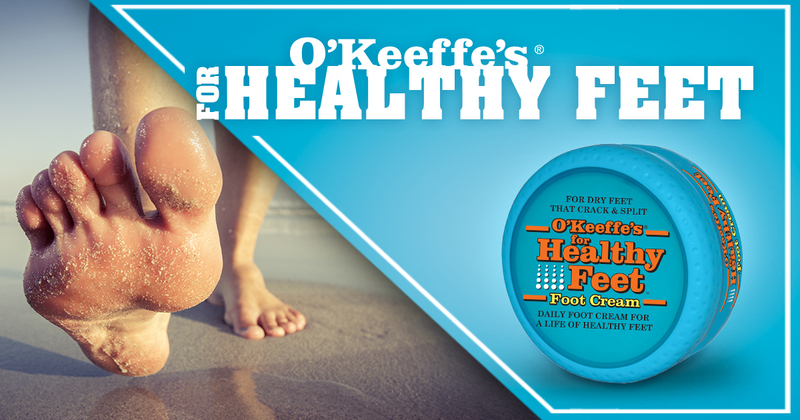 O’Keeffe’s for Healthy Feet is a unique formulation of moisturizing ingredients guaranteed to improve dry, cracked skin. Parched, barren earth needs water. The same goes for rough, dry skin. Healthy Feet contains a high concentration of glycerin that draws in and retains moisture, which is necessary for healthy-feeling, hydrated skin. Healthy Feet contains more of a moisturizing ingredient, Allantoin, which helps to penetrate thicker and rougher skin on the feet. Best of all, O’Keeffe’s works fast. Most people start seeing results in only a couple days.